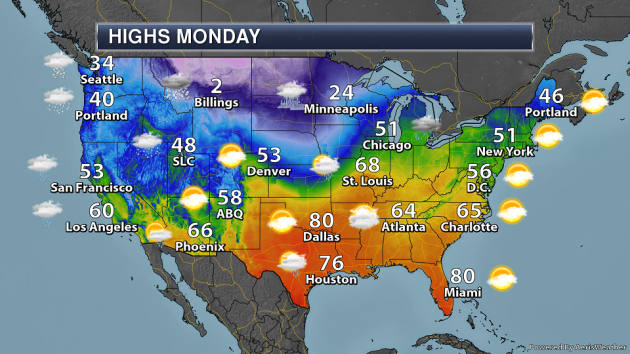 On Monday, an area of low pressure and associated fronts will bring rain from parts of the Great Lakes into the Deep South, with a icy mixture in parts of the upper Midwest and heavy snow from North Dakota to northern MInnesota. This will also produce some precipitation across northern New England. A mess of rain and snow is also expected out west. 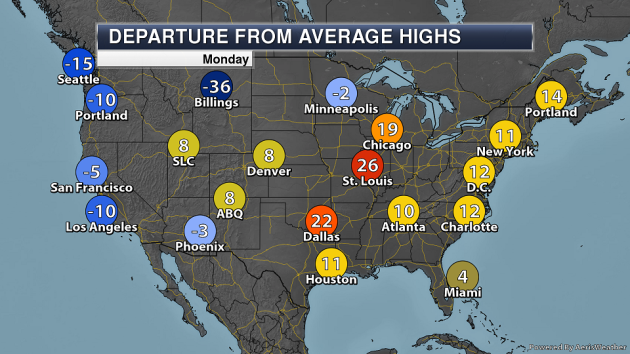 Highs will be over 30-degrees below average across parts of the Northern Plains and Northern Rockies, meanwhile they will be a good 15-30 degrees above average across parts of the mid-section of the country. 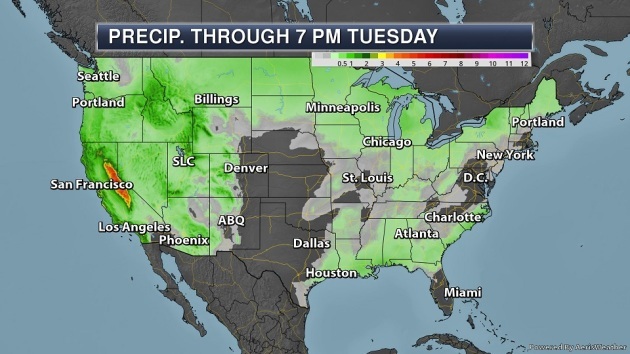 Heavy precipitation will continue across the west coast, with up to 3″ of rain possible in spots – and even higher amounts of melted precipitation in the Sierra. 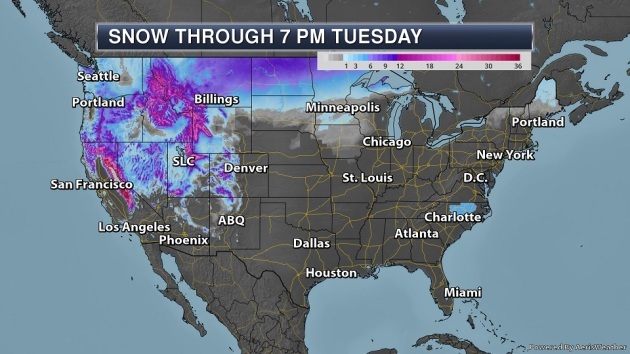 Four to eight feet of snow could fall through the first part of the week in the Sierras, with the potential of over a foot as well into parts of the Northern Rockies. 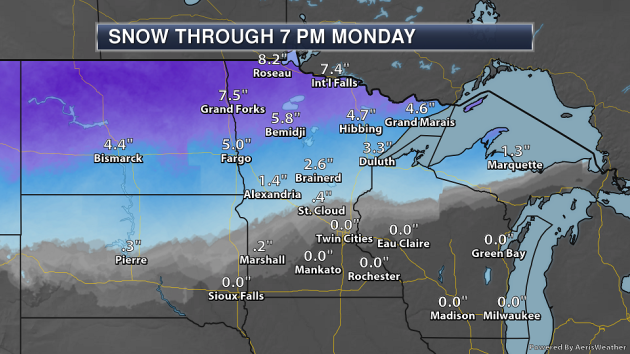 Meanwhile, a band of 6″+ of snow will fall from eastern Montana into northern Minnesota Sunday into Monday. An area of icy weather is expected across southern Minnesota into western Wisconsin Sunday Night into Monday as an area of low pressure slides across the region. At the same time, a mid-level disturbance will bring snow – heavy at times – across North Dakota into Minnesota. Across parts of southern Minnesota (including the Twin Cities) and into western and northern Wisconsin, icing will be the main threat with this system Sunday Night into Monday. Over a tenth of an inch of ice could fall in the Twin Cities and Mankato, which could cause slippery roads in time for the Monday morning commute. The best chance of at least one inch of accumulating snow will be across the northern half of Minnesota through Monday evening, with snow totals increasing the closer you get to the international border. In places like Roseau and International Falls, over a half of foot of snow is expected to fall. 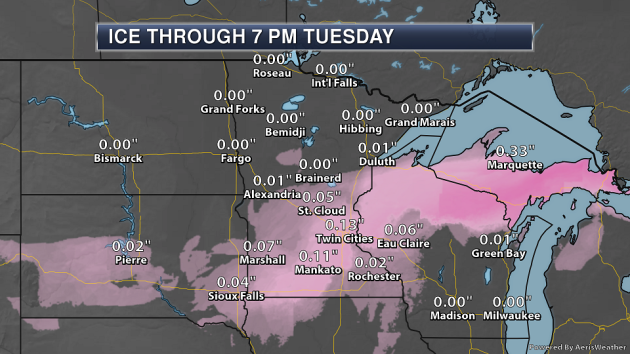 Closer to the Twin Cities, maybe just enough to measure will fall as the icy mix turns to snow Monday morning. Due to mainly the icing potential across central and southern Minnesota, Winter Weather Advisories have been issued for Sunday Night into Monday morning. 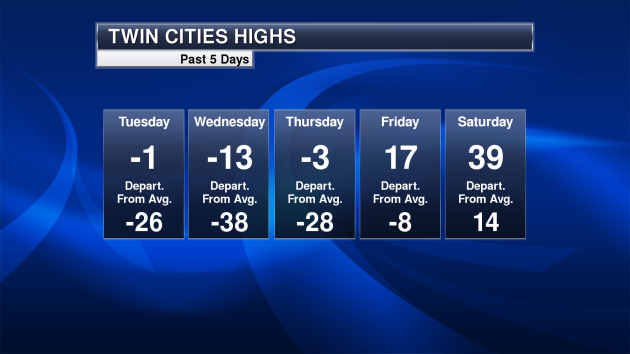 It’s been a wild past few days temperature-wise here in the Twin Cities. Here’s a look at highs between Tuesday and Saturday – a swing from -13F on Wednesday (a whopping 38 degrees below average) to a snow-melting high of 39F on Saturday. Thanks for checking in and have a great Monday! 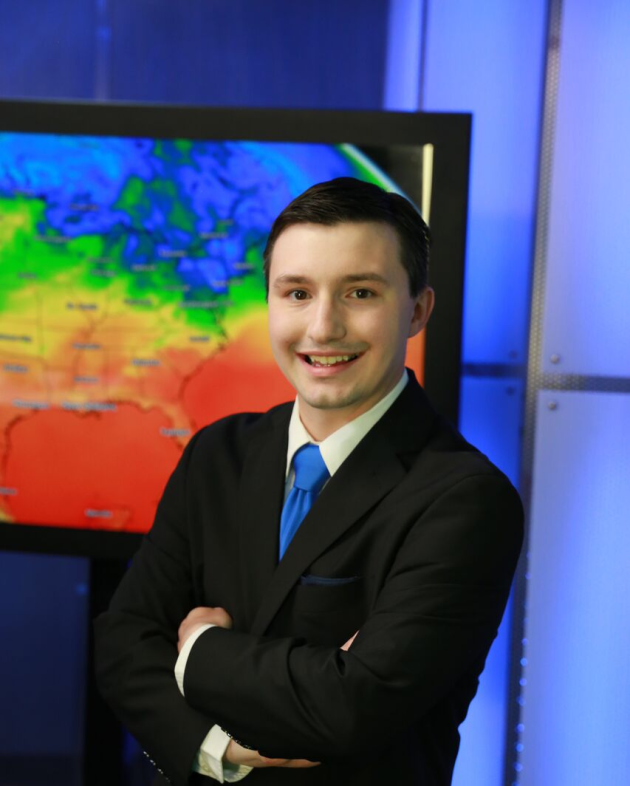 Don’t forget to follow me on Twitter (@dkayserwx) and like me on Facebook (Meteorologist D.J. Kayser)!